It was a lovely evening in The Nathan Shippey Sensory Room last night! Apart from the result, the room was relaxed, enjoyed and a wonderful experience for all! We said a big “hello!” to James, his pal Alex and his mam Fay. 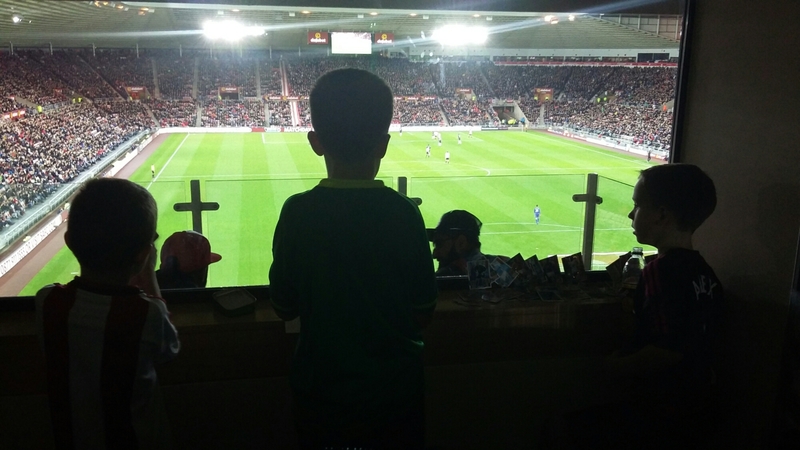 James has struggled on numerous occasions to watch his favourite team play live, however, like Nathan, even with ear defenders and other coping strategies, he never made it to the end of the match. Last night was a turning point! James not only stayed til the end of the match, but he enjoyed every minute of the game too! There were high-fives all round as we bid a fond farewell to the family and heres hoping we’ll see them again…maybe with our team winning next time!